Pass Your DOT Physical Exam! Dr. Johnson knows how important it is that you continue your livelihood as a commercial driver. With his extensive knowledge of the DOT Physical Exam medical guidelines, Dr. Johnson will steer you through the DOT Physical Exam requirements so you can Keep on Truckin’. Looking for a DOT Physical Exam or CDL Physical Exam in Rancho Cordova, CA? You’ve come to the right place! Want to know more about the CDL physical exam? (Click Here) to access the FMCSA CMV Driver Fact Sheet regarding the DOT physical exam. From Highway 50 in Rancho Cordova, take Sunrise Blvd south for 1 mile and turn right onto Whiterock Rd. Turn right agin into the second driveway after the Shell/Flyers Gas Station. From Grant line RD. take Sunrise Blvd North and turn left onto Whiterock Rd. and follow the same directions as previously stated. Dr. Thomas Johnson is a Graduate of Palmer College of Chiropractic-West. He has been in practice in Rancho Cordova, Ca. since 1990. During his practice term he also worked as a Chiropractor for Sutter Occupational Medicine from 2001 until 2005. 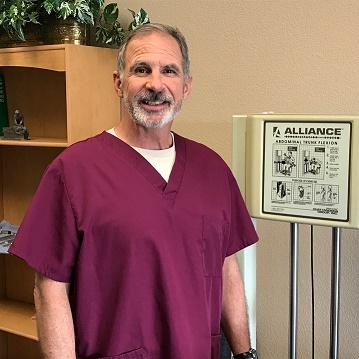 Dr. Johnson was has been a company doctor for several companies before 2003 including; Wal-Mart, American Medical Response, Automotive Import Manufacturing, and others in the Rancho Cordova area.